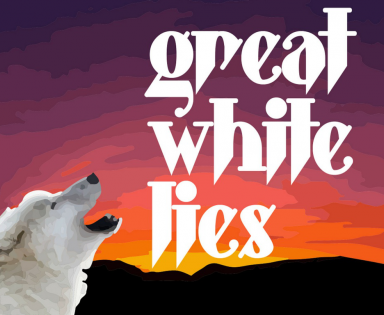 Great White Lies is comprised of jazz players, choral singers and soulful musicians. Through evocative jazz ballads, infectious and innovative experimental pop you're invited on a journey through a surreal, psychological landscape where Regina Spektor meets Amy Winehouse for a cuppa after a dinner with Frank Zappa. Sonically speaking Regina Spektor has dinner with Amy Winehouse and they all grab a cuppa with Frank Zappa; Great White Lies sound resides in the alley on the way back. Choral music, jazz, and funky soul permeate through their inventive sound, peppered with surreal imagery.